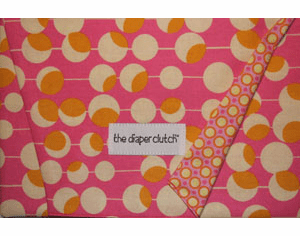 This great Diaper Clutch holds a small supply of diapers on one side and a wipe case on the other. A convenient way to carry your wipes and diapers. The case has a window perfect for dispensing wipes. We can personalize the top flap with a name or monogram at no additional charge. We have three great fabrics to choose from. 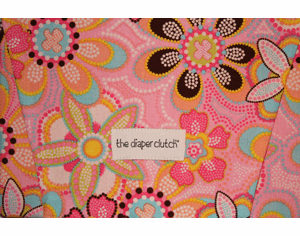 The Wipe Clutch is a perfect way to carry your wipes. If you don't need diapers or use cloth diapers, here is a way to keep your wipes in style. The wipe clutch has a cute wrist strap and can be personalized with a monogram or name at no additional charge.